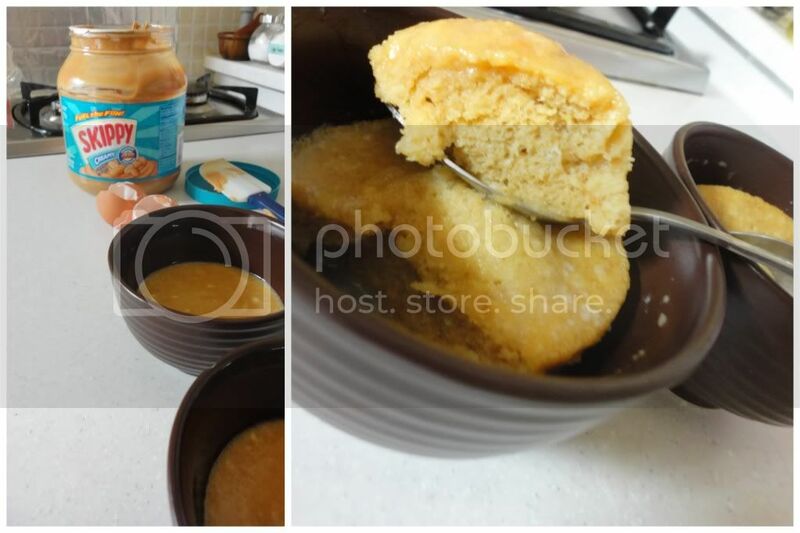 Remember the ease and deliciousness of the Nutella Mug Cake which was also discovered on Pinterest, these Peanut Butter Microwave Cakes were just the thing after dining with the hubs. ﻿In a small bowl, whisk together one egg, 1 Tbsp. brown sugar, 1/2 tsp. baking powder, 2 Tbsp peanut butter and 1 heaping Tbsp. of flour. Pour batter into a greased ramekin. Microwave for 30 seconds. While the cake is microwaving, stir together 1 tsp. milk and 1 Tbsp. powdered sugar, adding more powdered sugar if necessary to thicken frosting. Remove cake from ramekin (or don’t), pour frosting over top. Devour!